Perhaps your partner has uttered the dreaded words, “I want to leave,” causing your stomach to plummet in fear. Or there has been infidelity and your marriage shattered into a thousand shards in front of your eyes. Or maybe it’s subtler, a slow leak of the life-force of the relationship has left it an empty and brittle husk. 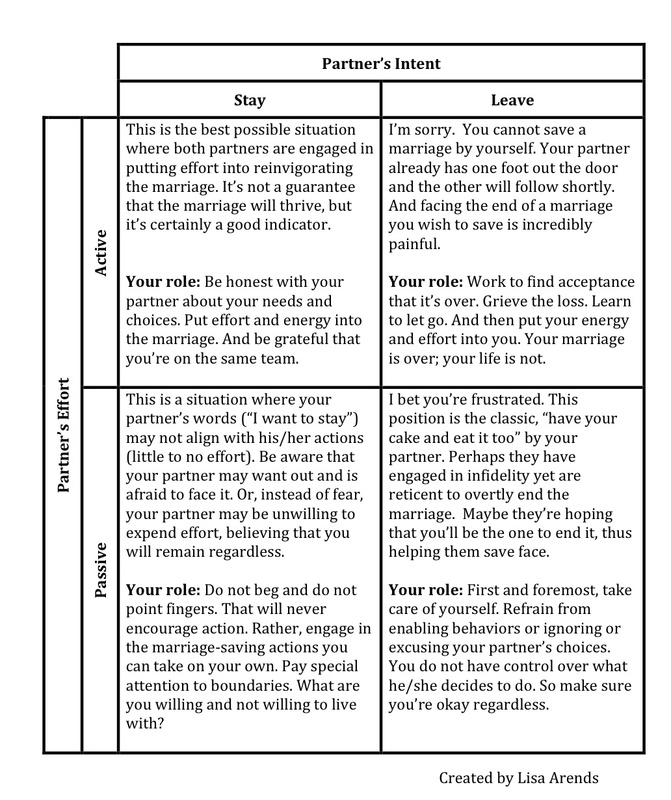 Regardless of your situation, if your intent is to save your marriage, these are steps you need to take. Before you have any chance of saving your marriage, you have to see your marriage. Not the marriage you think you have or the marriage you want to have or even the marriage you used to have, but the marriage that sits in front of you today. 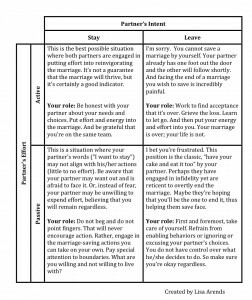 Before you attempt to resuscitate your struggling marriage, make sure you understand which category you’re working with and what your role is in the situation. After all, trying to breathe life into something that is already expired only steals your breath away. Clarify your thoughts about the marriage you want. What are your non-negotiables? Have they changed over the duration of the marriage? How long are you willing to live in limbo while the marriage is being worked on? Does that change if you’re the only one expending effort? What actions or behaviors do you refuse to tolerate? How will you respond if they occur? There are no right or wrong answers here, but you have to be honest with yourself. And then be up front with your partner about your absolutes. Be careful with your wording. Ultimatums rarely work (i.e. “If you don’t start doing X by next Friday, I’m out.”). Instead, frame it as a proposal (i.e. “I’ve realized I really need a marriage that has X. I’m willing to give us two months to see if we can make that happen. Is this something you are on board with?”). Remember, you’re a team. You have the right to feel safe within your marriage. You have the right to be treated with respect. What you allow is what will continue. Of course, that also means that you may have to walk away if your boundaries are being crossed. Put on your gloves; it’s going to get dirty. No, not the boxing gloves. The work gloves. Staying with the status quo is easy. Change is difficult. And change when it deals with emotions and ego and fear and family? It can get really foul. Part of saving a marriage is being willing to do the dirty work. It’s facing the truth about your own hang-ups and fears. And it’s being willing to face your partner’s independent thoughts and intentions. There’s no room for deflection or defensiveness. You cannot simply point a finger and your partner and sit back and expect anything to change. It doesn’t matter who is at “fault.” This rescue is a team effort. You will get muddy. Because the only way to change something is to meet it head-on. At the end of the day, your choices and actions are the only ones that you can control. So make sure they’re adaptive ones, independent of the state of the marriage. Are you hiding unresolved triggers and faulty beliefs? Dig into their root cause. Get help if you need it. If life has become stagnant, re-engage in your passions and interests. Has your physical well-being taken a hit? Put yourself back on you to-do list. It is not your spouse’s responsibility to make you happy. Or safe. Or fulfilled. That’s on you. A marriage is only healthy if both of the individuals are healthy. Who would you rather be around – somebody who consistently points out your shortcomings or somebody who recognizes your efforts and attributes? It’s easy focus on your partner’s flaws in the hope that they will change. But that only backfires. Instead, nurture the good in your partner. Let them know that you see and appreciate their assets. Your partner may have been behaving badly. Perhaps very badly. Avoiding blame does not mean that you endorse their actions (remember those boundaries?). It just means that you don’t rub their noses in it. Because if your only goal is to make them feel badly, why are you wanting to save the marriage? Leading with thankfulness is a habit that you can develop. Whenever you become aware of a negative or accusatory thought about your partner, search for a positive counterpart. If you find it difficult to unearth a favorable quality in your partner while you’re upset, brainstorm a list when you’re feeling more centered. Think of saving a marriage like applying for a business loan. 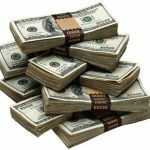 Before issuing a check, the bank would want to know your overall business goals, the steps you’re going to take to reach them, the tools and support you will need and your plans for various setbacks. A marriage will not improve if you don’t put effort into it. In fact, part of the reason you may be in this position is that you (and/or your partner) may not have been intentional in your actions and your marriage slowly came to a stop without the added push. This is your life. Steer, don’t drift. One of the most common utterances from people who have had affairs is that it “Makes them feel alive.” And that’s no coincidence. We all adapt to our surroundings and no longer notice what is always there. And that certainly holds true for marriages and spouses. You don’t have to seek out a different bed to spice things up. Break out of your routine. Engage in a new activity and allow yourself to see your spouse in a different light. Do something where you are both novices and learn together. Sign up for a challenge where you play for the same team and reinforce the idea that you are allies. Face something you’re scared of; the excitement has a tendency to bleed into the relationship. Share a dream for the future and let hope begin to whisper. See your partner in a new light. Even after so many years, there is still much to discover. Discard your expectations about your spouse and get to know him or her all over again. The marriage you have isn’t working. So maybe it’s time to alter how it looks and modify how it functions. Life always changes. Kids come and go. Careers shift. Demands come and go. And the marriage that worked at one life stage may not work in another. If you want to save your marriage, you may need to reinvent your marriage. Have a conversation (or more!) about what role you want marriage to play in your life. What needs do you want it to meet? Where are you inflexible and where are you willing to change? In order to thrive, a marriage has to be adaptable, responding not only to the needs of its participants but also to the demands of its environment. Marriage is not one-size-fits-all. You have the ability to tailor it to your needs and the needs of your partner. It’s natural to grip tightly when you’re afraid that something is slipping away from you. The problem with grasping is twofold: First, it serves to strangle your partner, encouraging him or her to escape in order to breathe. Secondly, grasping is based in fear and that fear will blind you to reality. Work to self-soothe. Manage your anxieties. Surround yourself with support. Build your confidence. Seek out individual counseling to address your fears. Because a marriage based on fear will never thrive. Loosely enough so that each person has the freedom to grow and change. And firmly enough so that each person knows they are supported. It is trusting the other person enough that they want to stay even if they have the ability to leave. And trusting yourself that you will be okay if they do. Sometimes, we get so fixated on our spouse that we lose focus on the bigger picture. If you want to save the marriage, make the marriage your priority. Even in those moments when you’re mad at your spouse, stay committed to the relationship. Make sure your words and actions align with your goal. Set your ego to the side; it will be bruised. But it can take it. Face your fears. I know it’s scary. The first step always is. But then the second step is easier. Ultimately, you alone cannot save your marriage. The mathematics of marriage state that 1+1=2, yet 2-1=0. In other words, it takes two to make a marriage work and only one to destroy it. If your partner does not want to make the marriage work, you cannot support it alone. But that doesn’t mean you’re powerless. Work on making you better. Whether that better you is married or not.